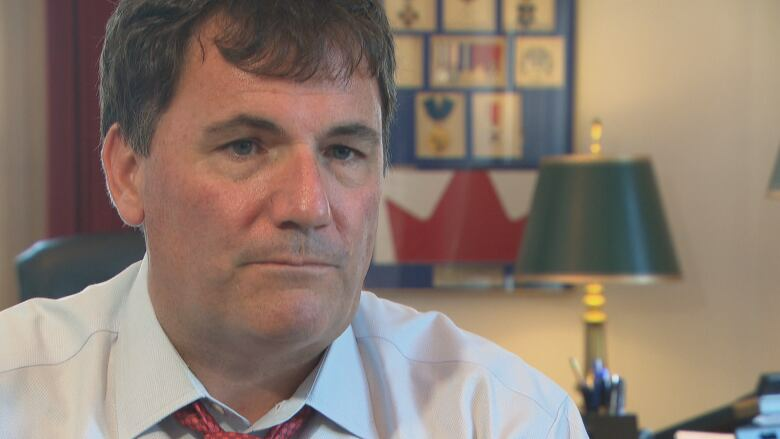 Federal Fisheries Minister Dominic LeBlanc has been diagnosed with chronic lymphocytic leukemia but says he will continue to work as he begins treatments. Fisheries Minister Dominic LeBlanc has been diagnosed with chronic lymphocytic leukemia but says he will continue to work as he begins treatments. LeBlanc, the MP for the Beauséjour riding in New Brunswick, announced the diagnosis in a statement posted to Twitter on Wednesday. The statement, which was co-signed by his physician, Dr. Nicholas Finn, says the condition is a chronic disease that must be closely monitored but can be controlled. LeBlanc is scheduled to begin treatments next week, the statement said. LeBlanc was diagnosed with the disease in April after a routine physical exam. The disease is at a stage that allows LeBlanc to schedule treatments in a way "that will have minimal impact on his work," the statement said. ​Ahead of question period Wednesday, LeBlanc told reporters that some people live with the condition for many years, even decades, and that he and his doctors are confident that he'll be able to maintain a normal work schedule. His treatments will involve chemo immuno therapy twice a month and will continue into the spring. "You spend two mornings once a month at the hospital and then you go home and carry on with your life and your commitments and your family obligations," he said. Though he was diagnosed in the spring, he said he decided to begin treatment now after doctors advised it would be "prudent" to do so over the next few months. He also said he wanted to take advantage of the lull in the parliamentary schedule. Initially, LeBlanc said he didn't want to discuss his health publicly. But given that New Brunswick is a small place, he said he didn't want rumours circulating that his condition was more serious than it is, he said. "Moncton is a small place," he said. "If I go to the Georges Dumont hospital a couple of times between now and Christmas and a couple of times at the beginning of January, I thought the risk of a much more serious or much more negative stories circulating meant that I should say something matter of fact." Prime Minister Justin Trudeau shared words of support for LeBlanc on Twitter. "We're all thinking of you today," he wrote Wednesday afternoon. "But we also know you'll continue to excel as a Minister and MP. My friend, you have my full support, always." New Brunswick Premier Brian Gallant, who is a longtime friend of LeBlanc, also responded to the news on Twitter, tweeting a photo of the pair together. "We will be there for you," he said.